As soon as the weather is getting warmer, we’re all thinking about laying on the beach and enjoying the waves. You take off your shoes, longing to feel the hot sand under your feet. But you suddenly remember of your pedicure. The way your nails look is not very aesthetically pleasant. You know that it isn’t normal, but are you aware that your toenails are affected by nail fungus? And, what is even more concering, did you know that it can actually spread to other nails, as well? That, of course, if you choose not to save your toenails. ZetaClear will treat your fungus, but let us first understand how it does it, talking a bit about your both, condition and treatment process. Onychomycosis – or nail fungal infection – appears in approximately 10% of adults. But this percentage increases with the age of people, and more than 20% of patients over 60s will get fungal infections on their nails (or unguis). It will begin with a yellow or white spot under the tip of the toenail or fingernail. And as statistics suggest, the disease occurs more frequently on the toenails than on the fingernails. It may sound incredible, but the health problem known as athlete’s foot plays a significant role in the development of onychomycosis. The rash fungus initially appears between the toes, then it evolves and spreads to toenails. You know that you have athlete’s foot when the skin affected is scaly, flaky, and dry. According to ZetaClear researchers, it may be red or white but cracked, covered in small blisters and itchy. Some patients even complain of soreness. However, it is highly contagious, and, apart from affecting other parts of your body, it can also spread to other people. These ailments affect the nail, its bed, and the plate. Your fingernails and toenails are likely to turn white or yellow, and debris will accumulate under your nails. Because toenails will get thicker than before, wearing shoes will become discomforting and even painful. Onychomycosis can have many possible causes. ZetaClear experts claim that you get this condition after getting in contact with people who are affected by it. But poor hygiene habits are also linked to unguis fungal infection. Thus, by keeping your feet in moist, dark places is known for increasing the risk. You have damaged your nails, or you have the bad habit of biting them? You are likely to get the fungus. But what if you walk barefoot in public spaces, such as gyms or pools? Well, you might take it from there. And do you know why older people are more prone to get onychomycosis? The answer is mind-blowing – their immune system is weakened, and they cannot fight against this highly contagious health problem. However, how can you be sure it’s onychomycosis? How do you recognize this condition? Finally, how do you know you need ZetaClear? Keep reading, these questions will be answered throughout the rest of this review. Many people ignore it, especially if the symptoms are mild. They will not do anything to get rid of it, so chances are onychomycosis will get worse and spread to other areas. When your nails are ragged, brittle, and crumbly, more thickened than others and distorted in shape, you should seek the advice of your doctor. Are the tips of your fingers discolored and dull? Watch out! You might suffer from onychomycosis. Other signs of fungal infection include building up under the nails, any changes in shape or color, and even its separation from the unguis bed. It is not uncommon to detect a slightly foul odor, which will trigger an increased insecurity. What you need to do is use ZetaClear and eliminate the unpleasant symptoms of fungus nail infection right in the comfort of your home. Don’t fall for the signs that look like a mycosis, but aren’t! Psoriasis causes red and scaly patches on the skin, but this disease can also affect fingernails and toenails. If they are discolored, thick, loose, or crumbly, psoriasis might be to blame. Have you ever heard of Darier disease? It marks the unguis with white and red streaks. If the tip of your finger has a discolored spot, it can be melanoma, this potentially fatal form of skin cancer. But when your nails grow very slow and are yellow and thickened, it seems that Yellow nail syndrome might be to blame. How many things do you know about nails? Do you have any ideas of what it’s made of? Well, you will probably be surprised to discover that the tips of your fingers and toes are covered by a tough protective protein called keratin. And it is actually the same protein found in our hair. The unguis structure consists of the plate, matrix, and nail bed, as well as the grooves that surround it. The matrix – known as the matrix unguis or onychostroma – is that tissue protected by the nail. Yes, you read that right. This matrix is the part of the nail bed with blood vessels, lymph, and nerves. So, these are all interconnected and dependable on the immune system. The thickness, length, and size of the matrix determine the depth and width of the nail plate. As long as it stays in good health, the onychostroma will keep on growing. It is also the place where new nail plate cells are produced. When new cells are developed, the old ones will turn flat, compressed and translucent. These old cells will be pushed forward, making the capillaries visible on the plate. ZetaClear will help your immune system to work against any malavolent agent trying to attack your matrix. The epidermis – is the layer located right beneath the nail plate. Little grooves – or matrix crests – connect these two types of tissues. When we grow older, and the unguis plate will become thinner, the matrix crests will turn out to be more noticeable. If you were wondering about the nail root, well, it is where the sinus is. The truth is that it originates from the active growth of the onychostroma. What about the hardest part of the nail? We call it the nail plate. This tissue consists of several layers of dead keratin cells. Although it is pretty strong, this layer is also flexible. 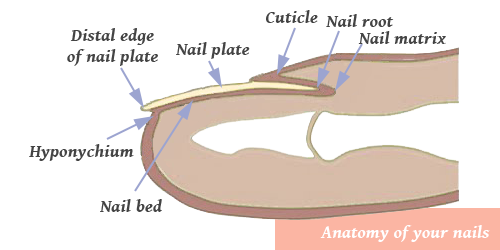 The underlying bone gives its shape. Do you want to hear a fun fact? When we use the word “nail,” we often refer to this particular tissue (the plate). When it changes its color, and the signs of fungus become embarrassing, you certainly need to use ZetaClear and restore the health of your nails. Onychomycosis is pretty common. It is the reason why an experienced team of doctors and scientists have developed a powerful product, able to defeat the fungal infection from inside out. They have designed ZetaClear, this natural homeopathic treatment that consists in a combination of oral spray and topical solution. Its principles are based on homeopathy; thus, it has a holistic view of health and works on multiple levels to restore the general well-being of the patients. Both ZetaClear products are formulated with 100% natural, tested and safe ingredients. When everything else has failed to help you, ZetaClear will clear the keratin debris and leave your nails beautiful and healthy. It’s best to use them together. The oral homeopathic spray will strengthen your immune system and enhance your overall wellness. On the other hand, the topical solution will kill the fungus and stop its spreading. You will no longer be embarrassed to take off your shoes! With ZetaClear, you will treat the discoloration of the nails in record time. This treatment can be used for extended periods of time. But the best part is that it will start working soon after administering it. Therefore, your nails will begin to perform their function adequately. Statistics show that approximately 30 million of Americans are affected by this fungal infection. They haven’t heard of ZetaClear! Too bad and we are trying to make sure they will, with your help, fast! They’re not there to emphasize or complete your appearance. And even though many of us use nails as tools, the truth is that they play a much more important role. The healthy unguis tissue is meant to protect the fingertips as well as the surrounding soft tissues. Thus, we are supposed to keep these areas safe from injuries. Imagine your hand grabbing something. Do you notice how the nails are slightly changing their color? That’s because the nail functions as a counter-force, especially when the end of the finger is involved and you touch an object. We scrap, cut, and use the extended precision grip with our fingernails. However, a recent ZetaClear research has proved that using our nails as tools will increase the risk of damage. And these small injuries represent open doors to bacteria and diseases, including the fungal infection. Thankfully, with a handful of high-quality homeopathic ingredients, you will become able to fight against onychomycosis, and get rid of its symptoms naturally. You hear this word frequently, but do you know what does it mean? Let me clear things out. Homeopathy is a system of natural health care with a rich history. It has been around for several centuries! Its main healing principle is “like cures like.” It means that the medicines applied will help the organism heal itself. Moreover, the homeopathic compounds work as a stimulus to the natural response of the body. World Healing Organization recognizes homeopathy as the second largest therapeutic system in use worldwide. People in South America and India use homeopathy quite often. And you know what the stats are? Over 30 million people in Europe and millions of others in other parts of the world use homeopathic treatments – ZetaClear among them – to ameliorate various health problems. The ingredients employed in this curative system may initially increase the strength of the symptoms. But it is a sign that the healing process has begun. The condition is healed from within, and the consumers will soon regain their health state. It sounds weird, but extensive evidence backs up this theory. However, the best part of homeopathy is that it treats you as an individual. All of your symptoms will be eliminated, and you will not be taken as a collection of disease labels. ZetaClear makes use of homeopathically prepared treatments. In other words, the minimum dose implied is subtle, gentle, yet powerful. The compounds are 100% safe for the consumers’ health and, as proved by many thorough clinical tests, this natural antifungal remedy will not cause addiction or side effects. Thorough clinical studies have revealed that certain ingredients extracted from nature have antifungal properties. Furthermore, they improve the immune response and assist the consumers in eliminating numerous health problems. It is the reason why ZetaClear products are formulated only with herbal extracts and natural compounds that work synergistically against onychomycosis. You ought to use the oral homeopathic spray right from the first signs of disease. This product includes in its composition Mancinella 30C, Antimonium Crudum 200C, Thuja Occidentalis 200C, Sulphur 12XS, Arsenicum Album 200C, and Nitricum Acidum 30C, blended in a solution with Alcohol 20% and Purified water. Are your nails crumby? Then you should use ZetaClear topical solution. This high-quality treatment contains Almond Oil, Tea Tree Oil, Clove Oil, Jojoba Oil, Lemongrass Oil, Undecylenic Acid, and Vitamin E Oil. These safe ingredients will quickly penetrate the unguis and alleviate the unpleasant symptoms of this condition. You feel any itchiness or discomfort? With ZetaClear, you will soon forget about it. Let’s break this down to get a better idea on Zeta Clear ingredients. Vitamin E Oil – or Alpha Tocopherol – nourishes nails and enhances their growth structure. When it is used topically, this potent vitamin will slow and reverse the signs of sun damage, support the development of red blood cells and keep the natural moisture in the skin. When it is ingested, this element will relieve menstrual problems, increase fertility, alleviate pain, and lower high blood pressure during pregnancy. You can take Vitamin E from cereals, leafy greens, nuts, vegetable oils, or various seeds. All in all, these ZetaClear ingredients are natural, safe and highly efficient. They were chosen among the best of nature. And if it doesn’t convince, find out that these components were thoroughly researched before adding them to this antifungal treatment. As you will discover soon, ZetaClear is the best remedy for beautiful nails. Take this holistic treatment as recommended and you will not regret it. Here’s how to use ZetaClear: spray twice under the tongue three times per day and apply the topical solution on all of your nails three times per day. Why should you use it on all of your fingernails and toenails? Well, fungi might have attacked all of them, even though the symptoms are not visible yet. You have to admit it’s ridiculously easy! Just a few sprays under the tongue and a few applications until onychomycosis symptoms will go away. But are you aware of the reason why it has to be applied under the tongue? The ingredients will absorb directly into your bloodstream. Yes, they will bypass the digestive system, and the gastric juices will not alter them. So, they will work efficiently against fungus and the symptoms that embarrass you. And the topical solution? It may sound boring to apply it 3 times per day. But your self-esteem sure needs this little sacrifice, don’t you think? Especially because ZetaClear will work by killing and preventing the re-occurrence of fungus. Besides that, you only have to make 3 quick strokes on each of your nails. I am confident it will not take you more than 1 minute to do it! When the homeopathic spray will be administered, the compounds will start working. They will strengthen the immune system and assist you to eliminate the primary causes of mycoses. Try not to skip any of the doses! Furthermore, make sure you do not exceed the recommended daily dose. If you do so, you increase the risk of side effects. And, as all the consumer reviews state, ZetaClear really functions without triggering any adverse effects. All of the possible causes of onychomycoses will be removed, and your nails will become shiny and strong again. The ugly truth is that it’s hard to tell when you have a bacterial infection or toenail fungus. The symptoms are quite similar, and the effects are just as devastating when it comes to your self-esteem. However, ZetaClear will restore the health and beauty of your nails in no time. But first, let’s learn about the three different types of fungus that can make your unguis yellow, thick, and brittle. Molds – are also known as nondermatophytes. Although these microorganisms (Scopulariopsis brevicaulis and Fusarium species) usually thrive in soil, they can also infect the nails and skin. The conditions caused by molds are not contagious. But the symptoms of the disease are not quite pleasant: nails change their shape and color, elevating the risk for onycholysis (meaning the separation of the unguis tissue from its bed). Many antifungal treatments can eliminate the signs of infection. But, as you already know, onychomycosis often re-occurs, due to various reasons. And what can you do? 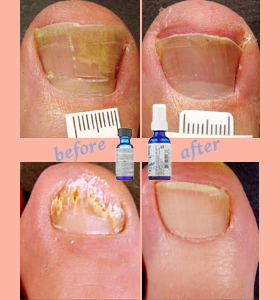 Well, ZetaClear homeopathic spray and topical solution will assist you to eliminate nail fungus completely! When your nails change their color and they become thicker than before, it will impact your self-esteem, and not in a good way! You will probably become embarrassed, and you will try to hide the areas affected. But you sure know that it doesn’t help. Nor using nail polish too often! Before finding ZetaClear, dealing with onychomycosis can be a nightmare. But right after trying this powerful treatment, you will know that your nails will look better. After using ZetaClear, onychomycosis will remain a bad memory. You will no longer wear only clothes with pockets. And you will start showing off your toes in cute sandals! Follow the tutorials on Youtube and get yourself a lovely manicure. Check out the latest trends and dare to match your nail polish with your happy mood. ZetaClear will do a lot more than eliminating the signs of infection. It will improve the quality of your life and assists you to regain your confidence! You might be tempted to take it easy. But when changes appear in the appearance of your toenails or fingernails, you should do something about it. Do you want your nails to fall off the plate? I don’t think so. Thankfully, you can keep infections away with natural ingredients. Here are the best 5 ways to remove onychomycosis. Eliminate the source of the problem. It sounds easier than it actually is. But if you really want to regain the beauty of your nails, you will do anything it takes to fight off fungus. Cut off the sugar supply that feeds the bad bacteria! Change your diet, as it is the key to a healthy body. Make sure you eliminate the conventional grain products from your nutrition plan and try as much as possible to adopt a healthier lifestyle. Use probiotics when you have to take antibiotic drugs. If you want to keep the production of yeasts and dermatophytes under control, you will restore the normal pH balance. You will achieve it by enhancing the proliferation of good bacteria within your digestive system. Apply Vick’s VapoRub, white vinegar, or Listerine. They are believed to help eliminate the infection. Vick VapoRub contains in its composition eucalyptus oil and camphor. And you know that these components have antifungal properties. Thus, by applying daily a small amount of VapoRub on your nail, it will increase the chances of eliminating the distressing symptoms. On the other hand, white vinegar is very acidic and creates an inhospitable environment for fungi. Though it has a strong smell, vinegar will remove onychomycosis if you soak your fingernails and toenails for 45-60 minutes daily. Unlike ZetaClear, vinegar works as an external agent, curing the effects, not necessarily the causes. And what about Listerine? Well, it does a lot more than refreshing your breath and improving the wellness of gums. Listerine contains menthol and thymol so that it will defeat fungus from the first application. Use essential oils. Our ancestors used them to cure many illnesses! They smell nice, so they will cover the foul odor if there’s any. But the best part comes next: essential oils of Tea Tree, Lavender, Oregano, and Orange have powerful antifungal effects. It means they will get to the root of the problem and kill the fungus that caused onychomycosis. In addition to this, essential oils will also enhance the natural radiance of nails and help you to recover the well-being of the tissues affected. Drop a few drops of oil onto the areas with problems several times a day, and you will soon forget about the infection. Replenish healthy bacteria. You know there’s a balance of good and bad bacteria. When it is disrupted, problems will appear. Unless you think about starting the treatment with ZetaClear, the symptoms can overwhelm you, especially because you will suffer from a lot more than mycoses. When bad bacteria proliferates in your body, you will experience digestive problems, frequent allergies, high-stress levels, and even memory issues. What ca you do? Well, add to your diet fermented foods such as kimchi and sauerkraut. Consume probiotic foods and supplements, and you will sure boost up the recovery process. Eat more protein, fiber, and quality fats. Hence foods such as wild-caught fish, cage-free eggs and poultry, grass-fed meat, and unpasteurized dairy – they will improve the functionality of the digestive system and strengthen the immune response. Thus, you will become powerful enough to fight against fungus and eliminate it completely. If you want to obtain the results desired more rapidly, you should also consume natural remedies with antifungal properties. Yes, eating certain foods will support your system to eliminate the fungal infection. But at the same time, you must remember that you have to avoid all Candida-causing foods. No, it’s not as complicated as it seems. If sugary foods are known for promoting the proliferation of Candida albicans, other eatables have antifungal properties and help to remove the signs of fungi. What to avoid: high sugar fruits, cooked beets, farm raised seaweed, alcohol, nuts, beans, agave, foods with artificial chemical ingredients, and sugary dairy products. What to eat: coconut oil, onions, garlic, rutabaga, olive oil, ginger, pumpkin seeds, cayenne pepper, lime and lemon juice, kefir, cloves, raw organic apple cider vinegar, gluten-free whole grains, oregano oil, cruciferous vegetables (broccoli, brussels sprouts, cabbage, arugula, radishes), and cinnamon. Here’s what you have to keep in mind: sugar feeds fungus. Furthermore, food combinations that are difficult to digest also promote the proliferation of Candida. When you want to combat fungal infections, you ought to adopt a healthier lifestyle. Eat plenty of eatables with antifungal properties, products with probiotics, and items that detoxify the system from harmful microorganisms. Don’t ignore onychomycosis, and make sure you do everything it takes to eliminate the germs. Trust the experts when they say that even the slightest discoloration can be fatal for your toenails. Instead of ignoring this sign, you should consult your doctor and use ZetaClear to remove the threat. You might find it hard to believe, but neglecting onychomycosis will lead to a widespread infection and painful walking. And if it wasn’t enough, it can begin to smell, and you might lose your nails. I already mentioned that this type of infection is highly contagious. You can get it by just touching the contaminated nails of other people or walking barefoot where they have passed. But if the unguis is initially just yellowish and fragile, it can soon become thicker and very crumbly. What will come next is that your nails become cracked, and fungus will reach to some of your other fingers and toes. By not treating it with the supplement from ZetaClear store, you put yourself at risk. This potent combination of topical solution and homeopathic oral spray will combat germs from inside out. You know that untreated toenails will become thicker so that wearing shoes and walking will become uncomfortable. Even worse, the disease will spread to other areas and probably to the surrounding skin, causing the appearance of athlete’s foot. Thus, the skin between and under toes will become cracked, itchy, and red. The most and dark environment will form a good environment for bad bacteria. And you know what? The microorganism can also spread to the genital area, causing the occurrence of jock itch. Based on what scientists tell us, this disease can affect both men and women. Left untreated, the onychomycosis of the toenail will turn into a widespread infection. What does it mean? This complication usually develops in patients with a weak immune system or who suffer from diabetes. Bacteria will get in their system, causing cellulitis. And if you weren’t aware, this problem produces red, tender, and swollen skin, needing the assistance of your doctor and even treatment with antibiotics. In the most severe cases of widespread infection, the dangerous microorganisms enter the bloodstream and represent a life-threating condition. Recent studies prove that not everyone has the same risk of getting this disease. The experts have published information showing that several factors and health conditions will increase the risk of fungal infection of the nails. Age plays a significant role, considering that seniors have slower growing nails and encounter difficulties taking care of their toenails and feet. Moreover, old people usually suffer from poor peripheral blood circulation and weakened immune response. Other health problems and factors that are associated with this ailment include diabetes, sports, genetic factors, immunodeficiency, abnormal blood flow, and psoriasis. Diabetes impacts the blood circulation and elevates the risk for many infections. We are told that sports help us to improve the overall wellbeing. But the truth is that certain sports – watersports, generally – will raise the exposure to the pathogenic factors. If you practice swimming regularly, you are more likely to get onychomycosis. Because some individuals seem to be more susceptible than others to mycosis, they must keep ZetaClear at reach. If one member of your family suffers from onychomycosis, chances are you will get it, too. And what about immunodeficiency? It makes sense! If you have a weak immune system, you are susceptible to suffer from many illnesses, including this one. When the blood doesn’t flow as it should, especially in the peripheral areas of your body, the tissues are not nourished properly. Furthermore, the healing process is slowed down, so fighting against diseases will be harder than usually. If you consult your doctor, they will recommend you certain oral antifungal medications and probably chemical-based ointments. But ZetaClear will efficiently remove the signs of fungus and aid you recover the natural luster of toenails and fingernails. Never neglect the slightest symptoms, for you can never know what it hides. You have an unpleasant cough? It can be more than a simple cold. You frequently suffer from allergies? Well, the immune system is to blame, but the underlying problem can be more severe. Therefore, visiting your doctor is always the best thing to do, even though it doesn’t look like an emergency. First, your GP will establish the correct diagnose. They will carefully inspect your fingers and toes. Of course, you will have to answer to several questions regarding the moment when you first noticed the symptoms. Then, a small sample of the area affected will be removed and tested for the presence of fungi. And if it is infected with germs, you will be instructed to follow a treatment. It is tedious, and it takes time. Most prescribed drugs for onychomycosis need time to work and offer positive results. You will probably have to use oral tablets, local ointments, cream, lotions, or nail polish. Antifungal pills can cure severe cases of onychomycosis, but they are quite expensive and also cause side effects. On the other hand, ZetaClear is a 100% natural treatment that causes zero adverse effects. Doctors frequently recommend the oral forms of Ketoconazole – Nizoral, Ciclopirox – Penlac, Triazole, Allylamine, Itraconazole, Terbinafine, and Fluconazole to the patients with onychomycosis. The last three active ingredients are among the newest and, as studies suggest, they kill the fungus. The same studies prove that they cause many unwanted consequences: rash, headaches, gastrointestinal upset, hepatotoxicity, and nausea. You should take 250 mg of Terbinafine of 6 weeks to treat fingernail fungus or 12 weeks to cure the infection of the toenails. If you want to take Itraconazole, you will have to swallow 200 mg just as often as Terbinafine is recommended. Fluconazole needs a little more time to work: 150 mg once weekly, for 6-9 months. Over-the-counter pills and creams with herbs and natural compounds will function in time. But you must remember that not all of these alternatives are thoroughly researched. Keep out from the dangerous OTCs with active chemical compounds! Yes, many websites promise to sell you drugs with Itraconazole or Terbinafine. But they can affect your overall well-being and cause you unwanted side effects. How convenient is it to take pills for 12 weeks? It is how long you should use Lamisil, Diflucan, Sporanox, or other prescribed medicines for onychomycosis. In all this time, you will suffer from adverse effects. But because it is made or organic compounds ZetaClear spray and solution are completely risk-free for the consumers’ heath. You’re not convinced yet? Check the honest testimonials and the customer reviews. It is an important element when you need to check the efficacy of a particular medical treatment. The consumer reviews never lie. They help you determine when a product is a scam or not. However, knowing that thousands of patients have already healed their nails with ZetaClear, is an advantage. More than 92% of the consumer reviews are positive, showing the benefits achieved with this homeopathic medicine. Read the honest opinions of the customers, and you will find out how the fungus will be banished. Remember that the oral homeopathic spray will cure it from within. Your immune system will be strengthened, and the discoloration will slowly disappear off the unguis tissue. When it is regularly applied on your nails, the local solution will restore the natural shine and promote the regeneration of the tissues affected. According to the customer reviews, you will have to use this treatment for several months. The best part? The results are permanent, and onychomycosis will not reappear. However, you should pay attention and consider several recommendations if you want to maintain your fingernails healthy. Avoid using metal files – they will reap the edge and damage the nail. Those who appreciate themselves will have a hard time coping with this disease. Let’s be honest. This sign is perceived as a flaw, and you would do anything to get rid of it. But onychomycosis is stubborn and difficult to remove. With patience and diligence, you will restore the health and beauty of your fingernails and toenails. ZetaClear will work from inside out, killing the harmful microorganisms and strengthening your system. More important is that this homeopathic treatment will restore your self-esteem. Of course, this unsightly contamination will lower your confidence! It is probably the worst effect of suffering from this condition. But the natural products from the ZetaClear official website will eliminate the embarrassing symptoms and help you to feel better in your own skin. You feel betrayed, and the quality of your life is reduced. The discomfort and pain experienced with every step you take will bring you close to despair. You feel embarrassed to show your hands and feet, and you avoid the situations that involve displaying these areas affected by fungus. This condition can be eliminated completely. All you will have to do is order your antifungal treatment from ZetaClear and follow the instructions. You don’t want to put your health at risk? Well, then don’t use chemical-based drugs or other options that could harm you. Use the homeopathic spray and topical solution developed by ZetaClear team, and you will succeed to remove the signs of infection safely. What about Laser treatment for fungal nails? Most cases of onychomycosis are superficial. The traditional treatment includes oral products and locally-applied solutions. However, when the disease is more severe, and symptoms are unbearable, your doctor will probably recommend you Laser treatment. A highly focused beam of light will be used on the infected area. However, a treatment of at least 6 months is needed to eliminate fungus completely. Some degree of pain will appear locally. But statistics show that there’s no good proof that this Laser therapy is truly effective. So, does it worth the time and money involved? The advantages provided by ZetaClear are considerably bigger. Don’t go for the nonsurgical nail removal procedure, when you have ZetaClear to heal your fingernails and toenails. The natural ingredients from these products are the best home treatment. Thankfully, you can use them confidently without being worried that they will damage your wellness. Then you can apply nail polish and show off your trendy manicure! We search them even since Christmas. Yes, we want our nails to look flawless. But are they manicured accordingly to the most recent trends? Half circles at the tip of the nail, faux fur, futuristic designs, broken glass, and metallic accents were some of the most notable nail art trends of the year 2016. But we leave them behind and take a look at the best designs for this year. Stand out from the crowd with abstract models and glitter around the edge of your cuticles. Choose bold colors, wild combinations that will attract attention, and embellish with sequins, crystals, and other shiny jewels. I believe you didn’t miss the wire nail trend. Yes, you heard that right! Apply clear polish and outline your manicure with a golden wire. Set your imagination free, create abstract designs with this thin wire, or just use a tiny piece as a cuticle cuff. It is a stunning idea! When your nails are finally free from fungus and absolutely gorgeous, you deserve to get a wonderful manicure and pedicure. With ZetaClear, you can complement your look with the best manicure art trends. No, we did not give up metallic accents! They still charm us every time we see them. Two-toned manicure in black and pewter is eye-catching. But if you aim for a more discreet look, apply a pastel gray nail polish, and you’re ready to go. Neutral shades are feminine and delicate, perfect if you work in an office with conservative colleagues. But if you’re young and cheeky, opt for floral accents, adorable polka dots, and diagonal patterns that will brighten up your day. The best natural antifungal treatment on the market is available in ZetaClear store. 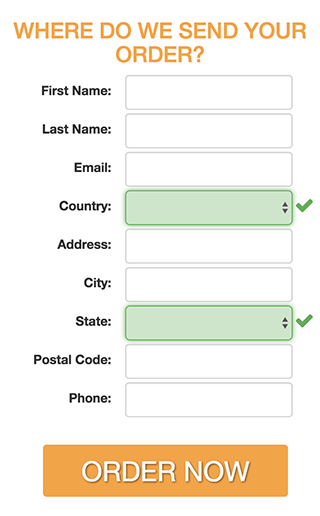 You have to order the product from the official website and then use it accordingly to the instructions published on the label. You are not sure for how long you should use it? Contact the supplier, and a team of specialists will answer to all of your questions. You will receive the ZetaClear spray and solution at your address, on time to start the treatment. You will fight off fungus right from the root of the problem. And if you are not satisfied with the results obtained, you will get a refund. Yes, you read that right! The manufacturers are so confident in their antifungal solution that they offer you a 90-day money back guarantee. Take a look at the official online store and choose the best package for you. Depending on the supply you will purchase, you will receive special prices and discounts. ZetaClear is affordable and available without a medical prescription. The ingredients are 100% natural, so you will not need to pay a visit to your general practitioner. Read the label carefully and do not use ZetaClear if you are allergic to any of its ingredients. If you are pregnant or a nursing mother, please refrain from using this treatment. Discuss with your physician if you are already on prescribed medicine or you suffer from a chronic condition. But if you want to banish onychomycosis and prevent its re-occurrence naturally use ZetaClear from the first symptoms of infection. Order your package from the official web store and regain the health and beauty of your nails!